Why hike the Overland Track in Tasmania? You are here: Home / Overland Track / Why hike the Overland Track in Tasmania? Frank is back from a great trip across the Overland Track from Cradle Mountain and Lake St Clair in one of Tasmania’s World Heritage National Parks. On this trip he walked with a small group from north of Sydney in Australia. We met via Our Hiking Blog and because Frank had some spare time and needed to do the trip before we release an updated version of our eBook, How to Hike the Overland Track. Rather than do a detailed trip report, in this article we will share the many reasons he rediscovered why you should take the time (and effort) to visit this spectacular area. 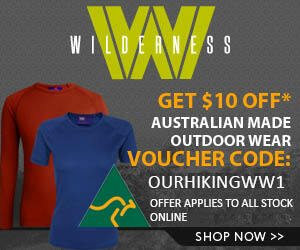 If you have some hiking or bushwalking experience and are looking to hike in Tasmania then this journey is a great one. The track is well marked and in good condition compared with others (that are more muddy and wet) in Tasmania. In season there are rangers along the track that can offer advice and assistance if required. Narcissus Hut after a great cleanup! 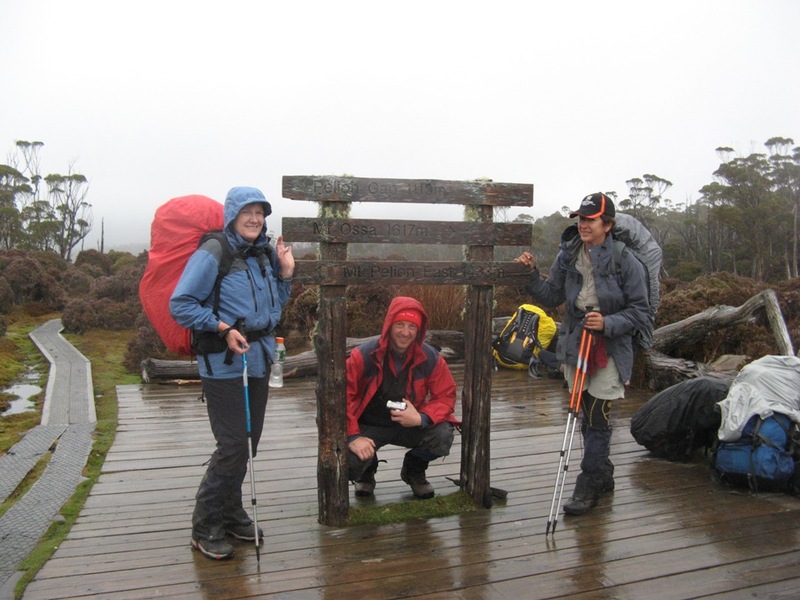 Two of our party had previously hiked in New Zealand and this trip was their first on the Overland Track. They were surprised and really happy that on each day there was a huge variety of walking conditions and “environments”. There are beautiful ancient forests, wide open spaces with button grass plains, wild and craggy outcrops and magic streams and rivers. You sometimes walk through all of them in one day! 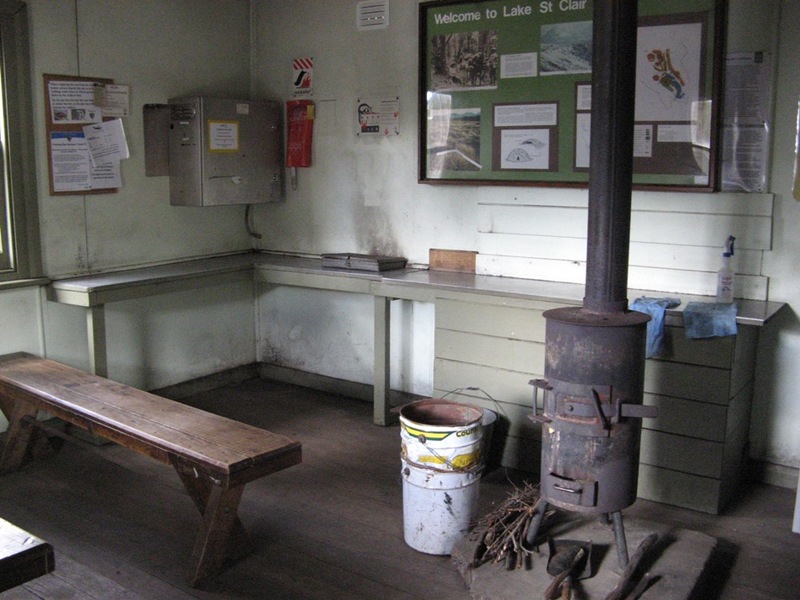 We generally shared the huts each night with the same people who had started the Overland Track on the same day as us. There were two German couples and two fit young guys from the USA. On other nights we met a guy from the UK, a group of six Spanish people, two girls from Sydney and a small crew from Cradle Huts. This is one of the great parts of walking the Overland Track. You meet fascinating people from across the world, get to chat about each others countries, check out their gear and exchange tips about different places to visit in each country. It is a lot of fun and lifelong friendships can be made. 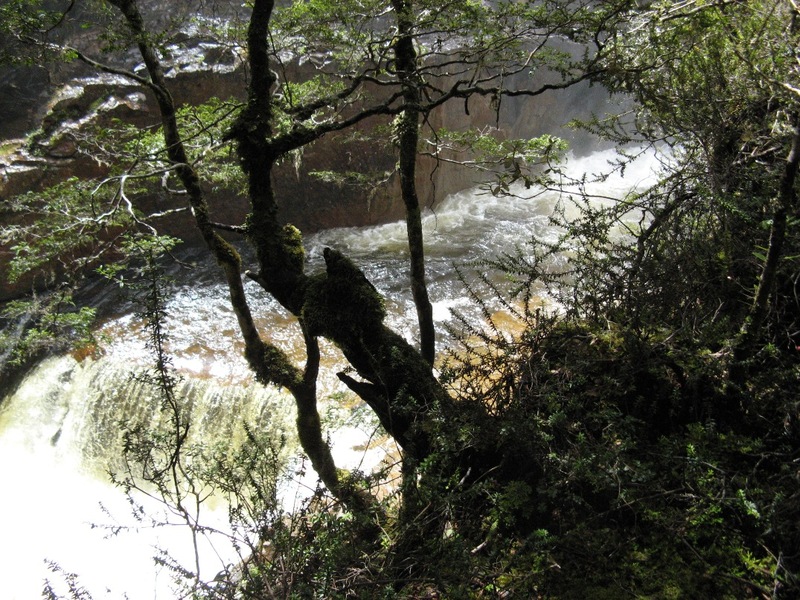 Some sections of the Overland Track are quite short for example from Waterfall Velley to Windemere Hut is about three hours walking. We had a lazy start to the day, starting to walk around 9 am. After a quick break along the way we went into Lake Will and explored the area. Barn Bluff dominates the vista and on a hot day the lake is fantastic for a swim off the sandy beaches. Another day we went into D’Alton and Ferguson Falls. There was a HUGE volume of water roaring over them! A terrific day and enjoyed at a leisurly pace with plenty of breaks and a nice easy pace. 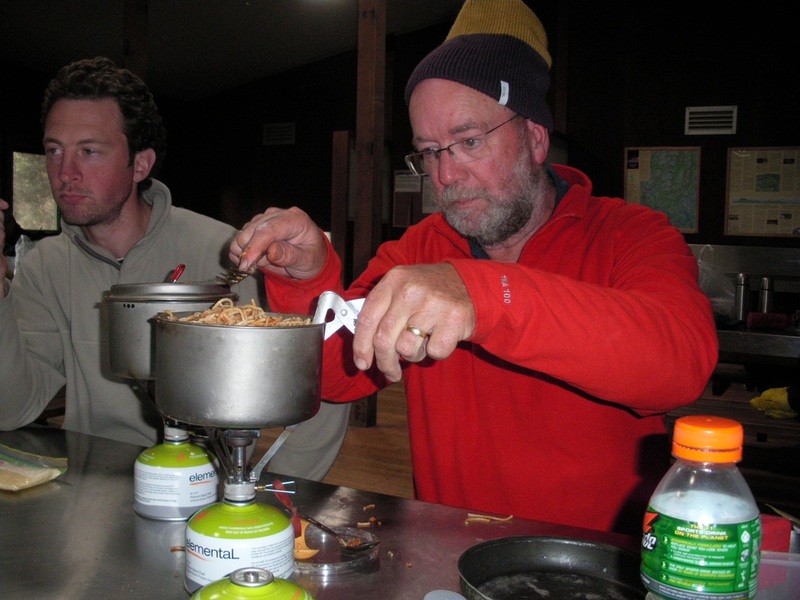 Frank was responsible for the food on this trip, it was just easier and gave him a chance to share a few recipes from our hiking recipe book, Food to Go. It worked out very well and the group seemed to enjoy each meal. We will do another article of the type of food we took in the near future. The forecast was for showers, rain, rain, rain, HEAVY rain and rain. A couple of years ago Frank walked with Leon and Alan and it was shocking weather. This was a worry before we left. In fact we got minimal rain other than some drizzle patches and on the Pelion to Kia Ora day light rain that stopped us from climbing Mt Ossa. Many thanks to Leigh, Tracey and James for being such great walking companions. It was terrific to walk with a well prepared and fit group of people. It was also wonderful to share that beautiful part of the world with people who appreciated the wild and wonderful Cradle Mountain National Park! 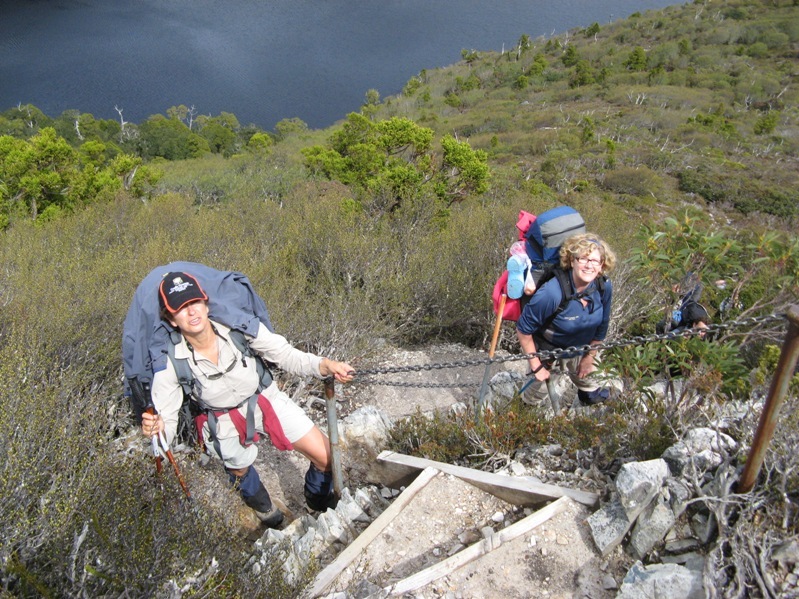 Have you hiked the Overland Track? What was your favourite part of the trip? Leave a reply below, we would love to hear about your “best bit”! My favourite reason: there’s hardly a second track in Tas where you can see this much wildlife. I sort of overlooked that, being a bit blase about them all! It is actually a HUGE omission in this article because they absolutely fascinated the overseas visitors……. and of coures, a couple of …. Plus a stack of birds, frogs, flies, bugs etc!!! I loved everything about the track. The scenery was spectacular and such an abundance of wildlife. We walked in December and the flowers were in full bloom. I have since moved back to the US from Sydney and hope to get back to walk the great track again. You have to do it again, the second time is great. No stressing about distances etc. Good luck! Although I haven’t walked it yet, another thing is that the track is well managed. In the peak period only a set number can start the walk each day (34 people?). So the track will never seem over crowded. Conditions were GREAT compared to other Tassie tracks. You STILL have to walk through mud, puddles and small waterfalls but there are no deep mud holes……..
Hi Frank. WOW !!! Look at that Narcissus Hut! No rats, no dirt, grime and dinge. It even looks like it may smell OK. What a transformation. Who are the good fairies responsible? Do you think it’s possible that they may get to the hut at Echo point as well? When I reached Echo Point during February, it was extremely dark and very smelly. We spent the night on the beach. You asked for the highlight of my OT experience. That’s a tough question! All those mountain peaks – great companions – wilderness everywhere – swimming in REALLY cold water [4 times] ………..Hmmmmm…………. I’d have to say, despite the very dry state of the entire track, my walk into Pine Valley was a stand out. I’ve been planning to return during the snowy months and head in from Lake St Clair. 2 days to get in, 2 days to explore, and 2 days to get out. Perhaps next year??? How many trips have you made now? 608 ?? I don’t know who cleaned up Narcissus (we were only there waiting for the ferry) but they did an AMAZING job (hence the pic)It is the cleanest I have ever seen it …. btw, they have now added a food locker, must have been some rodent issues there…. We stopped and had a look around Echo Point on the way back with the Ferry. Looks the same. Love that hut! Have not been into Pine Valley for a while, last time it was very, very wet and slippery. It is on “the list”, especially a night or two up in the Labyrinth. I think it is around 10 trips into the area, actually lost count. I never get bored with it! Sue will be heading through in March/ April, she could not make this trip and is a bit toey! Okay this is BIG motivation just to get out there and enjoy nature, PLUS this just might even give a nudge to do some international travel! How fun for your group and the details so well so well planned out. The Overland Track sounds like something I would thoroughly enjoy. I never think of Tasmania and rain. When I hiked the Cradle Mountain walk years ago(the 5 day affair)we had nothing but sunshine. By the sounds of things I was just lucky. Nice that you were able to contact with people through the blog.I agree that half the fun of these experiences is meeting interesting people on the trail. The whole walk looks fabulous…& especially when someone else does all the meal planning. Sounds like you have quite some knowledge about the Overland Track. My partner and I are currently thinking about walking the track in mid October. We have walked (tramped) in NZ a lot, did all great walks as well as some back country tracks ones and the full 10day Steward Island circuit. We are 100% sure if the Overland Track is worth doing? Looks like we have to spend around 1k each for the trip from Sydney which is a fair bit of money just for one walk. Also not sure if the landscape is that amazing / different from what we have already experienced during day walks around NSW and in NZ. I know that the wildlife will probably be better then in NZ but am not sure about the rest. Is there anyone here who has done some of the walks in NZ as well as the Overland Track who could give us some pro’s and con’s? Great question. I will also put it on our Facebook page and see what answers we get. I think in addition to the walk you get to see Tasmania, THAT is worth it! Hi Frank, thanks to the advice of yourself and fellow hikers we have booked to do the Overland track in late October. We’ll start the track early on a Sunday and need to be out to meet our transport the following Saturday. With these 6.5 days we have a few options with regards to the itinerary. We’re wondering if your readers recommend heading to Pine Valley? We would be able to do this but only if we can do the Waterfall Valley – Pelion leg in 1 day. We’ve heard this is doable but makes for a long day. We’re reasonably young and fit enough but we would like to know if it is worth rushing the second day to get to Pine Valley. By all accounts Pine Valley is a lovely part of the park.